Toy Fair: New DC Collectibles Revealed! DC Entertainment has revealed a number of new action figures and collectibles ahead of this year’s New York Toy Fair ranging from “Arrow” to “Batman: The Animated Series,” all of which you can check out in the gallery viewer below. Several new characters for the “Arrow” line were announced (via IGN), including Arsenal, Felicity and Diggle, along with Captain Cold of “The Flash.” Two prop replicas were also revealed, including the Reverse Flash ring from “The Flash” and Constantine’s Helmet of Doctor Fate. 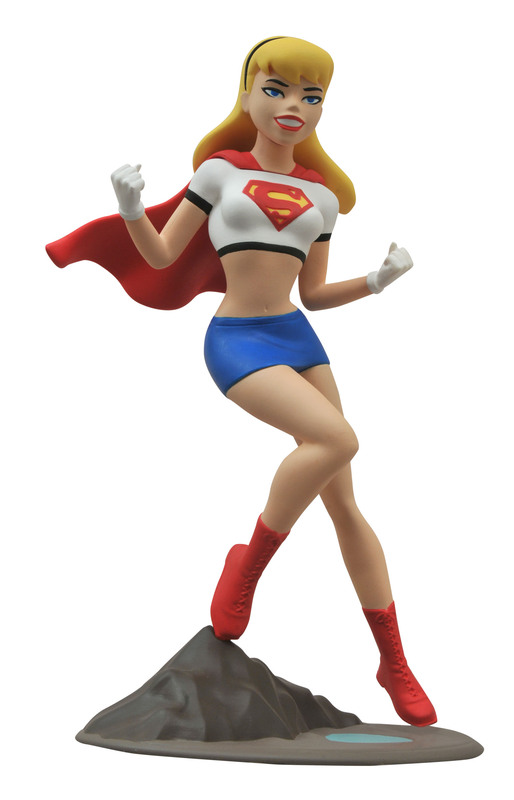 An all-new Supergirl statue from Diamond Select was also revealed. An all-new lines of figures called “DC Comics Icons” was announced as well (via USA Today), with three waves of figures inspired by the art of Ivan Reis and slated to debut this November/December and in February of 2016. Among those included are Deadman, Green Arrow, Batman, Mister Miracle, The Flash, Black Adam, Blue Beetle, Lex Luthor, Green Lantern, Superman, Aquaman, Harley Quinn and The Atom. 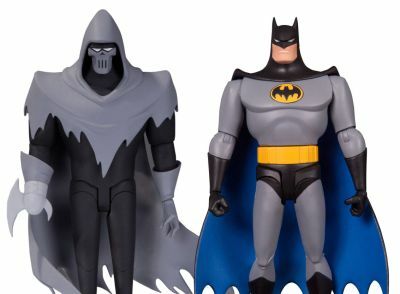 Finally, new additions to the new line of figures based on “Batman: The Animated Series” were revealed (via MTV), including Mad Hatter, Bane, Nightwing and Scarecrow, plus a two pack of Batman and the titular character from “Mask of the Phantasm.” Furthermore, an all-new Batmobile was revealed measuring 24″ long and capable of fitting two figures inside. Check them all out below and stay tuned for more Toy Fair updates this week!